I am almost crying as I read this. You have no idea of the burden I had of waiting for a man all these years, constantly telling myself,” You haven’t been satisfied in the Lord yet, you’re doing something wrong, God is withholding your blessings because there are things in your life you haven’t sort out yet, etc.” These thoughts haunt me with each passing day I wait for my future husband. Everytime I fall for a man, I always think to myself, ‘is he the one?’ And then I pray and relentlessly pour on the Lord all my ramblings, without a regard to what He says. And then I read this, and it was as if something was lifted from me. Your quote ‘Fall in love with Jesus’ hit home, and I realize why it was so difficult these few years : because I chose to ‘settle’ for Jesus while waiting for my future man, when I should’ve taken the time to fall in love with Jesus. It should be a precious journey, not an agonizing wait. Reading this article is an eye-opener, and spoke to my heart. Thank you for sharing your piece. I truly do believe it is hard to wait but it’s so much more beautiful and easy when it’s for love and it’s not made an idol. But it does definitely take strength. It is something I wish I would have had. I definitely respect those of you who are still waiting in patience and are drawing nearer to God. For me, I just need to remember God forgives, and He still loves me and I can still love Him in my current and future actions and to slowly but surely learn to not dwell on my past. Such a well spoken article and a needed distinction in understanding the difference between making deals with God and walking with Him even when it’s challenging. I am very familiar with the loneliness and isolation that can occur in our society as an unmarried woman. For most of my adult life, that was my marital status. What I would add is that, it is my opinion that much of the isolation comes from an unnecessary and unscriptural separation within the church along the lines of married or not. I see no place in the Word that says that the believers of the early church segregated themselves in this fashion, only that they gathered, broke bread together, studied, and shared all that they had. That has not always been my experience within the walls of the places I fellowshipped. It took my fortieth birthday year and a group of ragtag mountain worshipping, hill climbing heathens (spoke with fond affection as a former heathen who did not grow up knowing Jesus) who welcomed me in with open arms and encouragement, to show me what the church should look like. Out of that experience came much healing, growth, and an incredible strengthening of my faith in a God who knows me, sees me, and loves me crazily. It is our charge as lovers of Jesus to love on the people who are falling through the cracks. We should be sitting with them in service, inviting them to parties, and including them in our lives. We were made for connection with each other. That is what is so difficult about being unmarried in our society today, because with marriage comes entry into this whole other level of community. It should not be this way, honestly. We should not be including people based on their marital status. I once heard a pastor tell a retreat audience that married people were afraid of “single” people because they “don’t know how to relate to (us) you.” Seriously?!? That is not the kind of Jesus follower that I desire to be. Ever. Thank you for writing this. You spoke so well to the distinction of waiting as we wait. Not for marriage, but waiting as in service, as in living this amazing, incredible gift of life that we’ve been given to be sought after, pursued, and LIVED for Jesus with reckless abandon! Being unmarried provides a flexibility for ministry unparalleled by a wedding ring. There is so much that can be lived, so many people to love, so many places to go, and so much to learn in a life lived with Jesus as Beloved because the distraction factor is not there. This I know. LIFE.IS.SHORT. Don’t sit around wondering and waiting and hoping for something. Go out and live the day to the fullness of who you were created to be and drag all the people into the pool of grace, love, and joy you can. The rest will take care of itself. God is good. Even when we don’t understand what He is doing, follow Him anyway. You will not regret it. not wish to submit in the marriage bond (men AND women)…that is the main lesson to be learned! I am 26 years old, like some who commented here ,i have never been on a date, for me i guess it was God ‘saving’ me because at the time when other girls were dating i was just not interested, but now it has changed , i long to date and find my ‘adam’. I started being serious about my walk with God about 2 years ago and i see everyday that it is His will that i am where i am , whatever position i am. Now it is very difficult to be single , young and having a yeaning for some romance , because you are constantly having the feeling that you are losing out on something increadible.But the authors and other brothers and sisters have made it clear that, its not about me waiting and thinking that i will be happy and satisfied when i have a man, but rather i already am full now ,since Christ abides in me.John 1 vs 3 says that nothing was made, that was not made through Him…I will be a fool if i think some1 out there is going to come and then ‘understand me’ , and ‘help me to be a better me’.Please, that is a job for Jesus….I now know that this struggle of being single is just one of the many struggles and battles i face through Him.We are a team ,me, the father the Son and the Holy spirit. Intertwined together for the ultimate plan and purpose of the Father..
.I stumbled upon this article because it was one of those ,’ i am tired of waiting and being alone’ days.But like always, My Lord came to the rescue through this article and reinforced what hes always saying everyday to me, that waiting is ultimatly for His glory, and also that i am His vessel here on this earth and made to be used by Him anyway that He wants to. I am already full and i am already having everything i need that pertains to life. So after reading this article, i too want to bring down the idol of ‘marriage’ and the idol of ‘the one’ because my love, Christ,does not like this, moreover, it hinders our relationship .By the grace of God,i also plan to stop depressing my mind with , ‘what is wrong with me, why am i still single’ thoughts and replace them with,’ God is the driver and the planner in this relationship He knows where we are going,mine is to trust in Him and His love for me’ and enjoy the wonderful, ride…Thank you brothers and sisters for letting the Holy Spirit speak through you. Amen, I totally agree. I know this is a late response but its very relevant. Not sure whether your situation has changed or not but, being single awesome because as stated 1 Corinthians 7:32-34 We have more time on our hands to devote ourselves to the Lord, it actually made marriage look like a distraction. We should seize this moment and focus on who can really change our lives. As much I desire to be a wife and a mother someday, I have been praying that God would help me be at peace even if those things never happen. Even if I never get married, I still have found a Love greater than anything else. Even if I never have my own children, I will still have children to love. God is all I really need. Too bad there are not enough serious-Christian Brad Pitt lookalikes to satisfy the lonely female hearts in the Church. Wrong kind of education? NEXT! Not “financially secure” enough? NEXT! Not going to make my girlfriends envious? NEXT! No “bad boy” edge? NEXT! It’s the same old story. I waited around for a while to wait for the Church girls to stop craving worldly men with a “secret Jesus-y inside”, but to no avail. Now, in my 40s, they are waking up and wondering where the men went. We were there all along. You ignored us, thought you could do “better” and fed your soul with Disney fantasies. Now, so many Christians will cross life’s finish line alone. Like the Israelites who perished in the desert because they believed a lie, so to will so many Christians never enter the promised land of a loving family with children. Hey, going it alone is tough, and at times painful. But, we will all get used to it. And by the time we’re all 75, we won’t care. Then we can laugh about it! Bro….this is absolutely perfect. I seriously stand and applaud you on this. This reply is spot on. Its funny how most single Christian blogs revolve on women waiting for the husband when guys like us can only do so much if the woman has no desire to build a solid relationship. The offense can only do so much if the defense doesn’t give you room to run the ball. Other than that, guys just end up punting the ball cause we can’t get anywhere! Again, kudos! Agreed. I too have been one of “those” girls, but my opinion has changed. All that’s really important is that he loves God more than he loves me. Those other things are nice, but they’re not the most important thing. sounds like you had some crappy experience and i am truly sorry for that. however, some of us ladies are struggling through this while faithfully, whole-heartedly and in many cases prominently (as in pastoral leadership roles) serving in communities that have zero single males over the age of…oh, 17 or so. not all of us who are tired of being single have shot down every man who comes our way. just sayin’. Excellent points but many christian single young men are looking for the hottie size double zeros and I see so many great ladies that are overlooked because they do not fit the bill. I have tried to open my nephew’s eyes to not ignore the shy, chubby girl with the heart of gold instead of oggling the hotties that are getting all the attention all the time and our church events. Two sides to the dilemma! This “nice guy” entitlement mentality has to stop. You are not entitled to a woman just because you have a job and practice good personal hygiene. You seem self-righteous, which over time has turned into bitterness. Chances are you are a “shy” male who has had numerous opportunities for love, but looked right through those women because they weren’t the right race, weight or level of beauty. The knight in shining armor fallacy was created by men. The truth is that men tend to chase after the same type of women who has the social power to demand men who are physically, financially and emotionally successful. That woman makes up 1% of the population. So, Mr. Nice Guy, if that’s the kind of woman you keep running into then blame yourself and not the 99% of women whom you’ve never even given the time of day. I left my ring on, but for the same reason. It is a symbol of my love for God and my commitment to my relationship with him. My ring does not say true love waits, it says that true love is patient. It reminds me of how patient God is with me, and how much he loves me. Whether I get married or not, I will always wear my ring as a symbol of my relationship with God. I turned 41 this year and I will share what a friend shared with me. We live in a world that has fallen and many have lost the sense of dignity in being made in God’s Image and Likeness. I think that God has allowed many faithful women to play a blessed role in the grace needed for healing of those broken in the Body of Christ. When we learn to offer up the hardships and participate in Christ’s redemptive suffering – God can take something we may struggle with and turn it into something really beautiful. We rest in God’s love so that when we hurt we can offer it at the foot of the cross. There – God wraps us in His love- and bares fruit from our gift of suffering. Girls aren’t the ones waiting… 25-year old guy, here. Virgin, faithful member of the church. Single… LOOKING. This was written so beautifully. I know well that photocopied poem (went around my church in the late 70’s) and I have often thought about writing a post similar to this one. I could not have said it any better. Bravo! I am 49 and “waiting” but not really waiting…hanging in the balance of “hope” for a spouse but willing to live without one (sometimes begrudgingly, sometimes with thanksgiving). My ebenezer in this regard was a trip to Italy alone in 2008…I had wanted to go with a husband but realized that I needed to go alone…to celebrate my life as it is instead of as I thought it “should” be. It was the greatest trip of my life. The Christian walk is a daily dying to self and yet an opportunity to pour out desires and dreams to a God who loves us dearly. The trusting comes when we learn to accept what unfolds as a gift from Him, even when it doesn’t appear that way in the moment. Wow, this is an amazing read, I am a few of my friends are waiting on God, but after reading this, I see things differently. Thank you. Wow I REALLY needed to read this.I’m almost 34 a single mom,so I haven’t even waited :(…I’ve run ahead and tried to “make things happen” on my own,over and over and over again.Always end up hurt n rejected in my quest in looking for true love,feeling God is being unfair to me as everyone around me (Christian and non-Christian alike) was getting married…Now I realise must redirect my focus to His pure love he has for me…I must admit its hard to think that I might be single for the rest of my life-because that might be His purpose for me…I will just have to trust and believe in Jeremiah 29:11!! If a womens heart is after God’s heart… and she truly loves Him wholeheartidly… whether she wears a “True Love Waits” ring or doesn’t wear one… I would not think that would matter. But more often than not… just like post-it-notes on refrigerator doors or where ever you place an important reminder… this ring reminds us to remember to be holy. Not so much to wait… but to be holy. And that is always good. I am a bit saddened that she felt it necessary to justify not wearing such a holy reminder. It makes me think that she is thinking there was something wrong with the ring… when in fact there is not. If our hearts are truly turned toward Christ… truly love Christ… why would one want to remove it… Unless their motives were a bit skewed. Was it possibly scaring men away. Maybe. Maybe the ones who were after a women for the wrong reasons. But the true God of man would be rejoicing to meet and then marry such a lover of God and His Holy precepts. It seems to me to be a protection for women… not a dissapointment. If she truly loves God… wearing the ring should not matter… but surely be a benifit in several ways… even if she never marries. I don’t think she is saying the ring is a bad thing. I think she’s saying she realizes the ring represented a false idea to her. And I understand that. What people don’t often realize is that part of the curse was this desire for our husband. We can be consumed by it. This makes it hard to focus on your walk and relationship with God when you are so focused on when this man is gonna pop up in your life. We begin to look at every man as our possible husband. And we get our own hopes up, disappointed because it wasn’t this one or that one or that one either. it’s a tough lad but until God presents our husbands to us, he is our husband. God is our spiritual head, our provider. He is everything we have need of. A ring is only an outward expression (presumably) of what’s really going on in your heart. Reblogged this on Prisoner of Hope. Reblogged this on To Love is to Serve. I absolutely adore what you have written and appreciate it for anyone in any relationship status, as relationship with God supercedes all others. Thank you for your ministry, and I pray for God to continue to bless you abundantly. Love this! Truism, when the focus is on gaining a relationship with Him and understanding Christ’s role and love we don’t have to wait to be happy. Just someone trying to give another excuse for not being faithful and being abstinent- sad world we live in now. And lets remember its not just girls who are waiting and being disappointed, its boys too. Only way to fix these issues is for us to open other peoples eyes to the word and get them to obey it, too often do girls turn away from god to be no more than a fraternities version of a prostitute in college. Let us all remember that Mary Magdalene WAS a prostitute; however once she found Jesus she stopped her ways. If you claim to be a christian, claim to be a disciple of Christ you must put a stop to evil ways. Food is not an idol to hungry people. It’s only an idol to gluttons who are already satisfied by it. Marriage is not an idol to unmarried young men and women who long for that intimate relationship only biblically allowed in a marriage. We’ve exchanged modern thought and lies for that which God created and calls holy. “truth hurts” is correct. Eva – marriage can be an idol to a single person who believes that marriage and not Jesus will satisfy her deep desire for true love – the desire created by the father to be fulfilled by his son, not by a man. But that was not SB’s point. Truth Hurts has obviously not read the article thoroughly and responded only to the title which was probably designed to draw you into reading the rest of the words. The author has not given up her purity, neither is she encouraging others to. I’d encourage you and Truth Hurts to read it again. Thoroughly. I agree, the above people had misread the article entirely. The ring and the constant thought of marriage do take ones focus away from God and more on when and where and why? But one can remain pure, and find happiness and fulfilment in their lives with a closer relationship with God and greater revelation of his love. This is a must read for any and every Christian girl. God says that He wishes above all things that you prosper and be in good health, even as your soul prospers. 3 John 1:2. Trust me the Lord wants you to be happy. I know it doesn’t make sense when you look at your life, but it is not over yet for you where relationship and marriage is concerned. It isn’t over. And God can still give you something amazing. The ending of this is just beautiful. Thank you. I am 48. I have been single a total of 19 years. I have been single most of my life. I am very tired of being alone. I did not see me being this old and alone this long. I serve in my church, pay my tithes to please the lord. I spend all of my holidays alone. I see people with husbands, boyfriends, and family. I am done with hoping and praying. I think God wants me to suffer. I accept this as His Will. Maybe God is waiting for you to come to realize that you don not need a man to be fulfilled. You need Him and Him alone. You need to be happy with yourself, the one He created. To love yourself! And, maybe when you get to that point in your life, then without you even thinking about it and looking, He will then send you that perfect someone. Or, maybe not! But, my point is, focus on God and He alone and then watch wonderful things happen. But, you have to free up your mind and body to accept what He has to offer. God Bless! I don’t claim to understand what you experience. This I can say, I have spent periods of time in strange countries with new languages and alien cultures. I was very alone and then when I would start to really fit it was time to go again. I could hardly call my family or those I loved and when I did they were short calls on a choppy internet connection. I lost many friendships during this time and no one understood me, even when I would visit my old home I felt like an alien. I often lived in hard conditions with very little money. I saw and experienced painful things, none which I shall ever forget. I won’t tell you how this all came to be for a young girl hardly out of high school, but I will tell you this was the journey God asked of me. It may sound strange to you that God should ask a journey like this of someone, you might not believe me. That’s ok with me, but do believe this. There were days I worried about food, days I was sick alone and knew without help I would die. God doesn’t wish me to suffer. Indeed these times have been the greatest blessing. I remember thinking once about how great I am to live the way I did, giving everything up to the smallest pocket change and most heart felt relationship and throwing it all on the alter. Didn’t he see my pain? Didn’t he know how alone I was? Didn’t he see me cry?Didn’t he know after the days alone when I wandered back to a small room of loneliness I would glance through the windows and see the families wishing with all my heart to be safely around a table with those I love? Wasn’t I holy to have taken this cross because of my love for him? No. I wasn’t holy. 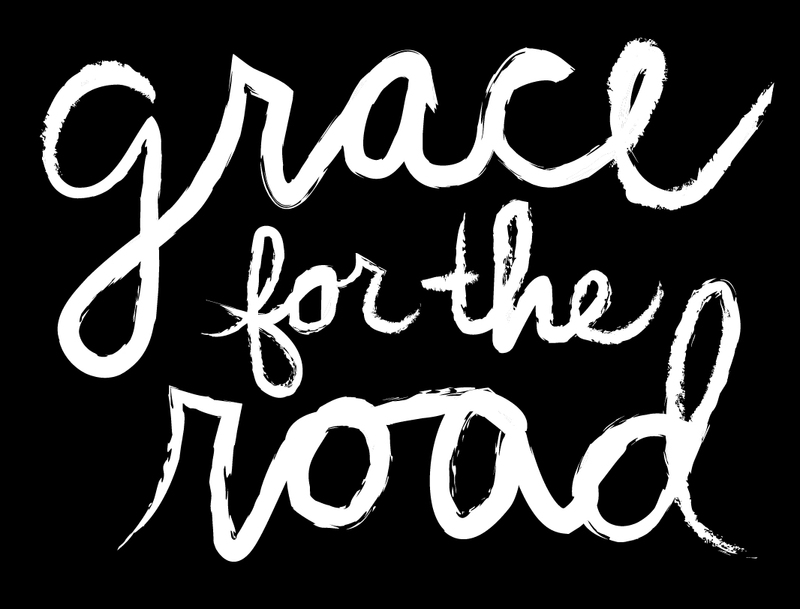 If we think life is bad, compared to we were given by his grace it’s nothing. But, yes. He did see me and he loved me. I was alone perhaps, but always provided for and always cared for. Sometimes it was strangers he would send, sometimes things would juat happen out of nowhere. He held all my tears and none were wasted. He didn’t want me to suffer but to learn and learn I did. I know what it’s like to feel completely alone in the world and that no words really take that pain away. But I also know wherever we are he can give us joy each morning. Just please please never think he wants you to suffer! Don’t mistake the kindest love and deepest affection for anything else. Don’t miss his heart for you! I can handle that there is not someone out there for everyone . What I can seem to handle is when some people elevate themselves and claim that God ” handpicked their spouse just for them ” . All I can say is prove it . Not saying God can’t I’m just not going along with their assumptions . I’m 38 I have never been a date . The author has not only dated she has been proposed too !! Kam75- I hear your pain in the words you have shared here. I don’t have any grand words of wisdom or catchy phrases to give you. Your pain is too deep for a cute bandage that offers no cure. I simply offer this prayer: Father I pray for Kam75 and others that she represents and ask that your love would move powerfully into every corner of her life. That you would ease her pain and bring her unspeakable joy in whatever form you please because you are greater than the pain that seeks to destroy her. Thank you for knowing who kam75 is and for being with her right now. In Jesus name amen. Let me be very clear about this: the truth is that YOU ARE precious and valuable and gifted and beloved and a whole lot more besides, regardless of whether you are single or married! You were created whole (not half!) and complete and perfect just as you are – being in a relationship won’t change that (despite common (mis)perceptions to the contrary). The Christian world seems to forget that Paul and Jesus, to name only two prime examples, were single at a time when that was even less the accepted norm than it is today. So, am I all loved up about the fact that Jesus is my husband? Not exactly…I can’t say that virtual hugs really do it for me! But I’m also not hanging around waiting for someone ‘special’ to turn up before my life can start, because that would imply that I’m not able to live life to the full now. So why am I still single? I don’t know why, but it know why I trust God, and he knows why. Interesting read. I took the author’s main point to be that she isn’t putting her life or Jesus on hold for some husband that others have told her will show up like Prince Charming on a white horse… conditional upon her faithfulness to the Lord. With that point I do agree. I won’t take ownership of telling even my own sister this message, though it does sound familiar to our circles. In fact, I have tried in recent days to walk the tight rope between playing God and following God’s promptings. Hopefully I have leaned more to the latter. I think the author could have made a stronger, clearer point about her Lord. A purity ring shouldn’t stand for putting him on hold while waiting for the man he’s supposed to bring. There is only good involved with something symbolic that reminds a person of the commitment they have made to sexual purity. But what am I really saying? “Lord Jesus, I will be faithful to you!” That is because I made my marriage vow to him, involving my wife. My ring also encourages me even as it reminds me that love does wait. 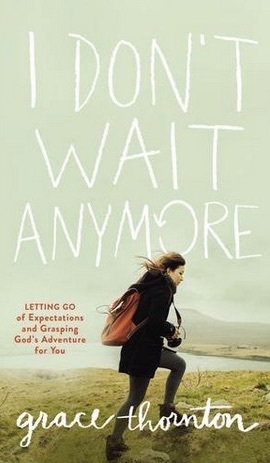 The author said she won’t wait anymore, but I think she would have been wise to clearly translate that for her readers–“I won’t put Jesus on hold while I wait! In fact, I will love him with all my heart!” Love does wait, at least when it has made a commitment to love someone in particular. For example, the LORD is waiting even now as he moves in the events of the world to bring it all to the seven years, at the culmination of which he will bring his own–Israel–to repentance and restoration. He has been waiting for over 2000 years and the prophets clearly speak of his love and commitment to Israel. Another example is the Lord Jesus as he waits for his Bride. He communicates his urgent love and concern for her in Revelation 2-3. And he promises to come for her in the clouds and receive her to himself in pure white. But the author has not met the man she chooses to marry, whether he be the one God wants her to marry or not. In other words, she has not yet made that commitment of marriage to one person for life. So where should her focus be? Should she immerse herself in romance novels, movies, or temporary relationships to get the fix she needs to get through each day? That’s what a lot of Christian girls do, even as the non-Christian girls jump from one bed to another as their own fix. No, I concur with the author as I think she is trying to say that she’s not putting Jesus on hold anymore. She’s going after him with all her heart. And if her Father crosses her path with a man whom she is to marry, then so be it. She will let Jesus love him through her. But if not, that is OK too. And I pray In Jesus Name, that God, our heavenly Father brings you and your wife together. Just as I am.believing He will do my my Dad and Mom. This is perfect. If you really know Him, and He lives in you, and you are about far more than “waiting for a husband|”, you will become a woman so dynamic and full of life that everyone, men and women will be drawn to you. He gives you life, and life in all it’s glory. Be so amazing, with His life shining out through you, that any man would be SO lucky to have you as his wife. Then, you are far more likely to find a husband anyway, than if you spend your whole life waiting. While your comment may be true, Andrea, it misses the point. Loving God or putting Him first or however you want to put it is not a means to an end (of attracting someone into your life). What you describe is really no different than the waiting as described by the author. Just ask the many single women who already know Him yet remain unmarried. Or the many married people who do not know him. The point is that we need to put Him first. Period. Not to attract people, but because that’s how is plan for us is designed to work. Being Single at 30, and seeing all your friends around you ( that are younger then you mind you) get married…..it sux! Waiting is hard, but I try every day not “wait” but to continue to move forward in what God wants me to do, it’s not easy, I constantly fall, but I know God gives us the desires of our hearts, and I pray for my future Husband that he will be the man God wants him to be and the man that I need. This post about the message we unfortunately communicate to our teen girls is so spot on. In the end its about faith. You have to trust that following God is whats best for you and everyone else. He knows whats best for you and if that involves a guy then that will happen. If it doesn’t then, you know what? God knows best and you’re still privileged to live your time on this earth knowing Him. I will say though that I’ve seen way too many single Christian girls that are, quite frankly, not very deep. They’re good people and they love God, which is most important, but if challenged they wouldn’t be able to give a good defense of their faith. If the opportunity arose they aren’t able to give a compelling Gospel message.They don’t have interests and passions for things outside their own lives. This isn’t everyone but I’ve found it to be common. Girls, learn about the world, pursue things that matter outside of your own life and develop interests and educated opinions on things beyond what was on TV last night. Have substance and don’t waste your single years, or any years. I love how you don’t wait anymore. Coming from a place where I am 19 and a majority (no joke) of my peers are married, it’s been hard to always hear about how if I run towards God pick the guy that catches up or just plain and simple questions “so why are you still single?”. People tend to force the idea that something is wrong in your life or your heart if you don’t have a man that you are committing yourself to and him to you. The thing is, is I don’t want to get married for quite a few years, but I do yearn for the romance, but I don’t want to wait anymore. Wait for the year marriage is right, or the year “that” man shows up. Waiting is for people who refuse to see the life they have in front of them, I’ve always been a little boy crazy and sometimes made the mistake of being the pursuer or rather someone who sits in wait of something to happen, but not anymore. I’m not married to Jesus !! Your blog speaks of heart change which has altered the way you live your life. Those ages 18 to 25 most are in the developmental stage of an “emerging adult” according to Arnett (2000) with most in this stage working hard at growing up and being an independent adult responsible for oneself and ones beliefs. It sounds like you have decided to follow Jesus, even if no romantic partner goes with you. Good choice. It is Jesus whom we must seek regardless of when or if another comes along besides us. Singles do have church family and their personal family with whom to have community with. Though, often this community can be difficult to find for older adult singles who often don’t fit in with the normal status quo life of married friends nor of the often more turbulent change filled life of the younger singles. It can be interesting figuring out one’s place in the church as an older single. Back to the topic at hand, marriage. I’m not married but I do believe that God can orchestrate the marriage of two people who are seeking him. However, if marriage is the goal, then both partners are bound to be disappointed because no one can make you happy all the time and never disappoint you, even if you’ve found Mr. or Mrs. Right. I’ve come to the same conclusion as you have in your blog. We must follow Jesus, period. I think there is joy in this heart attitude. Otherwise, sadness at not having your hearts desire sets in and and distracts you from the present which is meant to be enjoyed and spent on others in love and truth. I’m 24 this year. And I needed this more than you’ll ever know. From the very bottom of my heart . . . thank you, thank you for the reminder.